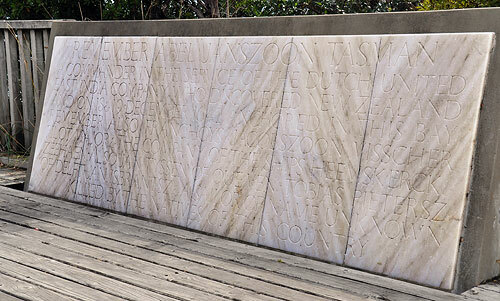 Visiting the Abel Tasman Memorial at Tarakohe, near Pohara. 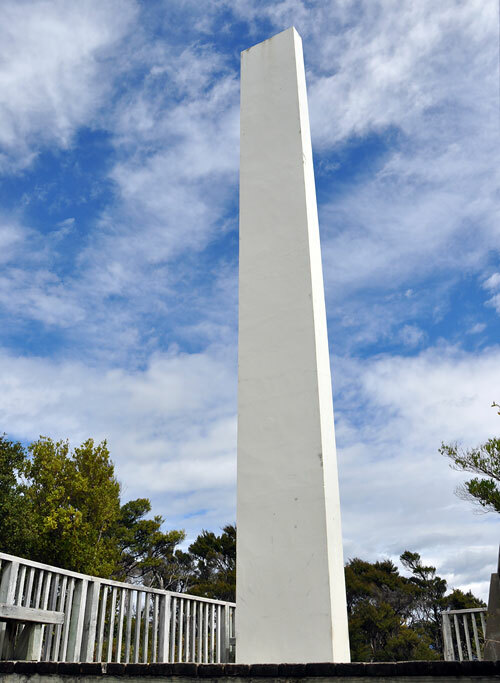 It was built in 1942 to commemorate the centenary of Tasman’s visit, the memorial was ‘reopened’ in 1992 by Queen Beatrix of the Netherlands. Click here and here for more information (and every now and then the memorial gets an ‘extension’, look here). 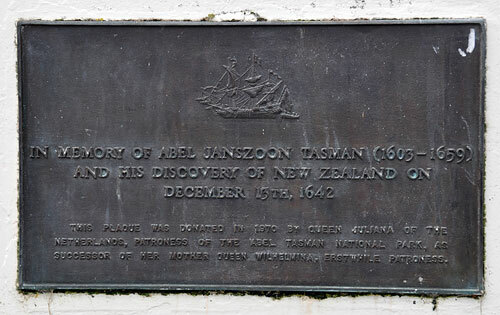 Bij het Abel Tasman Memorial, Tarakohe, vlakbij Pohara. Het werd opgericht in 1942, 300 jaar na Tasman’s bezoek en werd in 1992 ‘heropend’ door koningin Beatrix. Klik hier en hier voor meer informatie (en eens in de zoveel tijd wordt het monument ‘aangevuld, kijk hier). Hi, a very interesting project and hope your new book will be available in English. I spent a lot of by childhood and teenage years growing up in Ligar Bay and Tata beach. Apart from the usual seaside activities we used to spend a lot of time in the hills behind Ligar Bay. 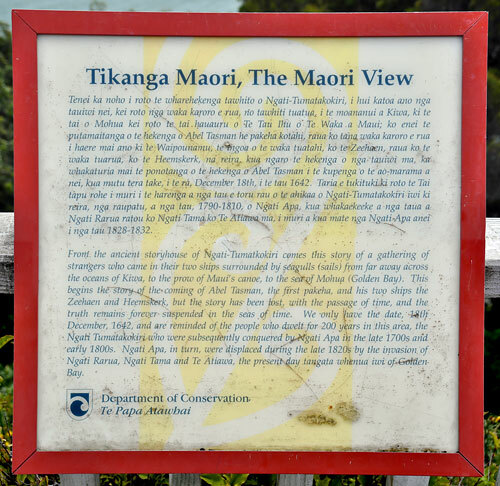 One of the highlights directly behind the old Ryder farm was the site of one of the lookouts that the local Maori used when Abel Tasman arrived in the bay-according to local Iwi. We spent hours on this site and I can remember finding the remains of wooden posts that were probably used as walls still in place and buried in the soil. The site had been hollowed out, leveled and covered several square metres. 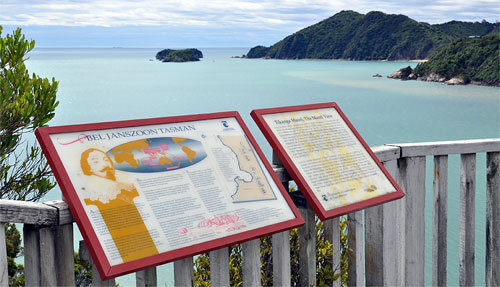 With the change in the bay now Im not sure that these sites are still there or if the local Maori have preserved them. From this site we could look directly down onto the ‘new’ Abel Tasman memorial which I can still remember being built. Sadly way back then in the 50s and 60s there was no preservation of these sites and hopefully now they have been preserved as they are a very important part of NZ (and Dutch) history. Hi Jon, thanks for your wonderful response! Yes the book wil be bilingual: in Dutch and in English. On my mother’s side my third name is Visger which is an anglicised version of Visscher. 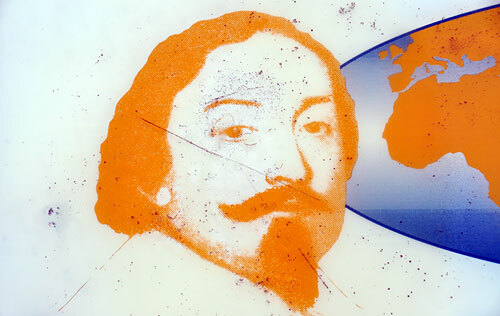 On my family tree I have FRANCHOYS JACOBZOON VISSCHER, Hydrographer and Pilot-Major on Abel Tasman’s ships Heemskerck & Zeehaen in 1642 in which they discovered Tasmania and New Zealand (13th December). He came from Flushing. 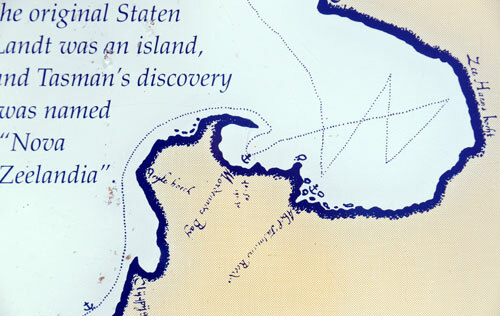 My main line of the Visschers were the first settlers in Nieuw Amsterdam which at the Treaty of Breda (1667) was exchanged with England for the Island of Run! Hi John. That’s an amazing story! What an interesting family tree. Thanks for sharing!